Majerhat bridge collapse | How many more? Home / Opinion / How many more? Tuesday’s collapse of a portion of Kolkata’s Majerhat bridge reaffirms Andre Gunder Frank’s evocative title of his seminal work, The Development of Underdevelopment. While the city tries to cope with the second, it languishes as a stranger to the first. 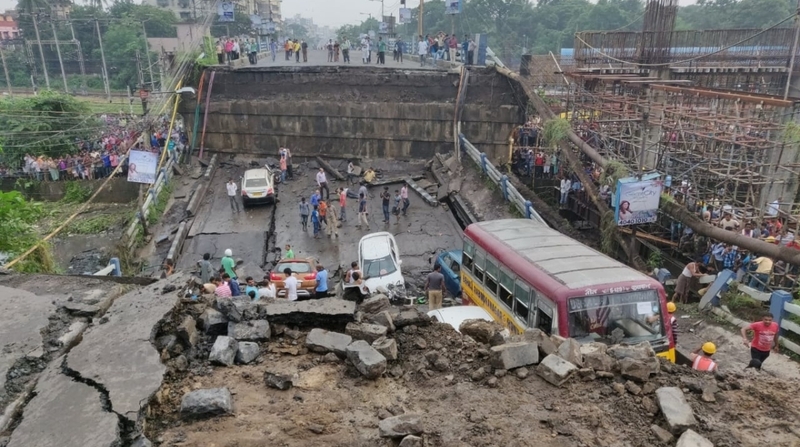 This is the third such incident since March 2013 when a portion of the Ultadanga flyover off VIP Road caved in, followed by the col- lapse of the Vivekananda Road flyover across Posta bazar, the nerve-centre of wholesale trade (March 2016). The city may not be in the sort of mourning that it was when no fewer than 30 people had then perished beneath the rubble. However, this doesn’t lessen the enormity of the accident that has jolted a part of the city to its foundations. Majerhat bridge serves as a vital link between the city and Behala/New Alipore and beyond, given the rapid expansion towards the south-west. The accident happened during the evening rush-hour, and it is gut- churning to reflect that there are many groaning in pain at SSKM and CMRI hospitals. Hence the decidedly skeptical query on the morning after ~ How many more? On closer reflection, this isn’t the foreboding of a Jeremiah; structural deficiency is the potentially mortal risk that is dangerously real in case of all or nearly most flyovers in Kolkata. Promptly enough, the Chief Minister has commissioned an enquiry from distant Darjeeling; yet if experience is any indication, the probe reports are almost routinely docketed. Let alone dismantling the Posta flyover, as recommended by IIT Kharagpur, no action has as yet been taken on its report, underlining the “serious flaws in design and poor quality of raw materials” that were used for the construction of the Posta flyover. From VIP Road to Majerhat via Posta, it is pretty obvious that the certitudes of flyover construction have been violated. Tuesday’s collapse has almost immediately placed the maintenance agency ~ the PWD ~ under a dense cloud not the least because it had ignored the “storm signals” that were periodically flashed. Not that repair was not carried out; but the work ~ with the use of bitumen coating ~ turned out to be wholly inadequate. Of riveting anxiety is the tearing hurry both in terms of construction and repair work. 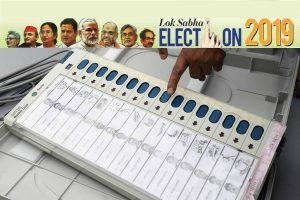 If the Assembly election (May 2016) was the compelling factor at Posta, there can be no such defence of the indefensible at Majerhat. The repair work, shoddy in the extreme, is said to have been completed “very fast”. Of regular inspection and maintenance there was little; of attention to detail even less. Considering the unusually heavy load of traffic each day ~ 10,000 to 12,000 vehicles ~ this 40- year-old bridge deserved better from the authorities. The warning of experts that the bridge needed to shed its “load” was accorded short shrift. There is a message to be drawn from Tuesday’s collapse ~ the development agenda lends no scope for playing to the gallery. Nothing short of scientific progress will work.